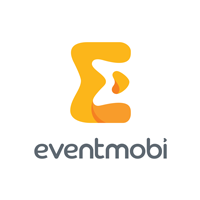 As an SDR at EventMobi, you will be the first point of contact in the sales process for the company, talking with hundreds of our potential and current customer each week. An integral part of the marketing and sales teams, you will be helping us learn about the unique pains and aspirations of our market when it comes to their event management platform. Call, probe, research, profile and qualify event planners and marketers who are interested in our product. About 70% of the calls are inbound, 30% are outbound. You will make at least 40-50 calls a day with extensive email follow up correspondence. A lot of the templates exist for you. But you need to know how to ask the probing questions, to figure out the needs of the customer, and the specifics of their event. Work side by side with Account Executives to ensure you are qualifying prospects, gathering enough relevant information to ensure that they become customers. Support the account executive and marketing teams on inbound and outbound campaigns, initiatives, events, webinars, debriefs and renewal efforts. This is an entry-level position, so we expect a learning curve. We can teach you about lead generation, scoring, and qualification. We can provide you with a solid understanding of marketing campaigns, sales and marketing software, and outbound call conversation flow. And you will learn tons more by talking to thousands of prospects who are marketing or event decision makers in some of world's largest companies. Passion and persistence. Outstanding communication. You will be connecting with prospects constantly. You will need to be well-spoken and meticulous in your email communications. We have a ton of templates for you to use but your attention to detail is key. Unbeatable listening skills. It’s one thing to talk, it’s another to listen. You will need to hone in on what the customer is truly asking for, and be able to reflect back. Unlimited patience. You will be helping our potential customers learn how to use our app, many of whom are unfamiliar with mobile technology. If this sounds like just the role you've been hoping for, upload your resume and tell us more about yourself!